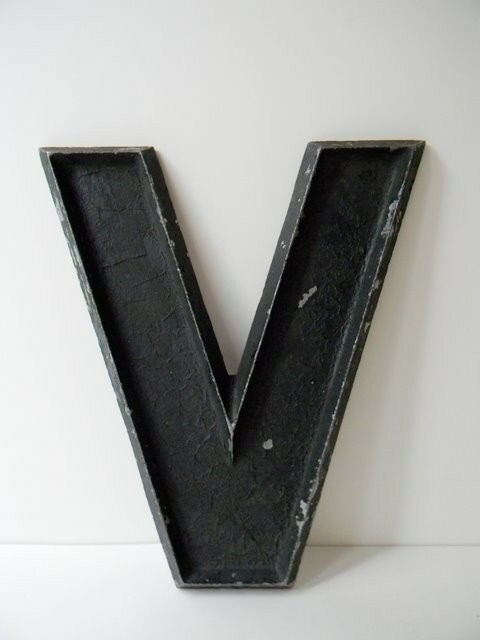 This week's Friday Faves is brought to you by the letter V for Vintage! I have been addicted with shopping at flea markets and antique malls lately and have snatched up several treasures along the way- but with the exception of a sneak peek below, that's for a post (or two) for another day. :) So far, my favorite spots in the Seattle area include the Fremont Sunday Market, 2nd Saturdayz and Haystack Antiques. Of course, please let me know if you have any suggestions! I'm not really sure why or what I plan on doing with them, but I have been loving these little old blue mason jars. Above is a peak at the little collection I have amassed so far. Should I just use them as vases? Or to organize my craft supplies? Or shall I make a chandelier? I always liked vintage typewriters, but I didn't fall in love until I stumbled across this beautiful restored pink one above on Pinterest. But the $595 price tag- yikes! I reached the conclusion this will have to be a flea market find & DIY project. 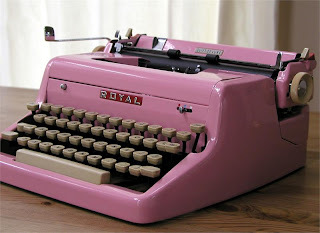 Coincidentally enough, it turns out Little Miss Holls has been feeling the same way about vintage typewriters- and I am SO impressed with her new old typewriter! Check out the beauty below and then visit her post to see how she did it.